Srg. Christine Canady known to friends as CC is a Sergeant in the US Airforce in desperate need of some magic in her life. On her 25th birthday she drinks some and when I say some I really mean a lot of Champagne and watches “girl power” movies, in a flash of brilliance she decides to change her life and does a summoning spell to the Goddess of the Earth, Gaea; who decides to bless CC. When CC wakes in the morning she still feels blessed and needs to get ready for her scheduled 90 tour to Afghanistan the next day. All day she feels blessed, she narrowly misses falling down a elevator shaft and is given a beautiful necklace by a stranger. When CC leaves the next morning to travel to another part of the world she is terrified. She has never liked flying and even the handsome solider who changes places with her on the plane cannot calm her nerves. When the plane goes down and the solider who switches places with her is hit by the planes propeller CC knows her life has just changed forever. The next thing CC knows is she’s sinking into the ocean and a beautiful Mermaid is asking if she would do anything to live, no brainer! 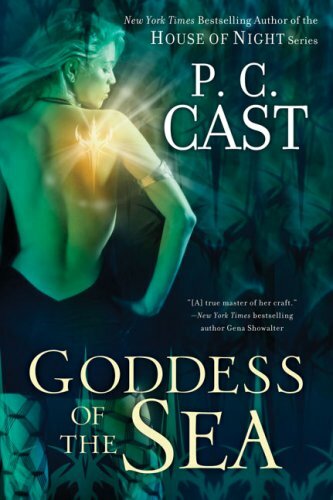 Of course she would, CC doesn’t want to die; than something strange happens and she finds herself in a cove in the beautiful Mermaids body about to be raped by her half-brother of all things. Narrowly escaping she finds her way to her mother’s (Gaea) cove and together they form a plan for CC to escape her brother on land where he cannot go in 1000 AD Wales. She is to adapt a human form and find true love, but every third night she is to return to the ocean or she will perish. While CC is fighting for shore a strong handsome Merman Dylan helps her to shore where a handsome Lord finds her and brings her to sanctuary to a monastery. As a modern day woman CC finds being a woman in 1000 AD a bit difficult to say the least but Dylan is always there waiting in the Ocean for her. CC finds herself having to choose between Dylan and the Ocean and the handsome Sir Andras Ap Caer Llion, eldest son of the great Lord Caerleon, who rescued her upon her arrival on land. Ok for full disclosure purposes I just finished the last 30 or so pages and writing this revirew with a couple of glasses of wine in my system; no worries readers I am well over the legal drinking age of 21 and in the safety of my own home, lol!! Soo this review should be delightfully interesting. J So her is my opinion, it was boring. The book started out interestingly enough with the summoning and the hottie pilot until it just got somewhat weird with the body switch with Undine. CC’s time on land in the monastery is seriously boring most of the time is spent making excuses for her odd behavior and discussing the magic of woman. Ok I agree woman have a certain magic within each other and we need to stick together, I get it and the moral of that story but it was done to death in this novel. Basically it was a whole lot of talking and little action. Dylan’s character is not developed at all; he’s like a pretty puppet who loves CC for eternity. Personally I kind of wished I had stopped reading after the first 40 pages, but I kept with it through to the predictable ending. I don’t believe I will be continuing with this series unless someone can convenience me the rest are better.